Hello from us all at Chelsea Library! Chelsea Children’s Library has been very busy as we ran a number of successful children’s events over the school holidays. 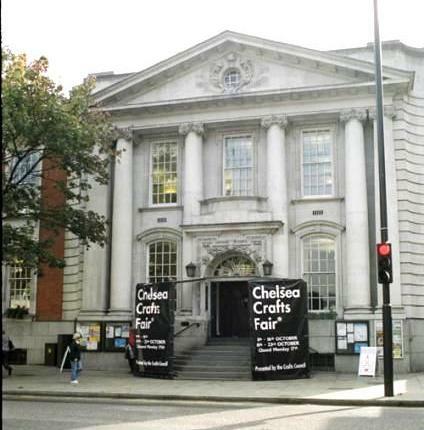 This month we’re starting a new mini series on The Chelsea Blog – some interesting facts about Chelsea Reference Library. Our events this month tied in with the London wide Cityread London campaign. This year’s book is ‘A Week In December’ by Sebastian Faulks. We tailored our craft events to themes in the novel. For our first event we prepared materials with a London Underground and football theme. Boys and girls relished making their very own designed bookmarks. And as you can see the results were impressive! The children then gathered around for a Thomas the Tank engine story. Our next event was on the lines of an Easter egg hunt only this time we used miniature chocolate footballs. First of all the children cut out a card template and then assembled with glue a little Easter basket . This was then filled with shredded paper to resemble straw. We hid clues for the hunt throughout the children’s library and excitedly the boys and girls went off in search of the chocolate balls. We then read ‘Football crazy’ by Colin McNaughton. Everyone joined in and promised to come to storytime the next day where we continued the London theme – we adapted ‘Puss in Boots’ and to a London setting and the Marquis of Carabas became the Marquis of Sloane Square and the river in the story changed to the Thames. Details of when our children’s events are can be found on the ‘What’s on page’ on our website. Chelsea Reference Library has an extensive collection of fashion books as well as a large archive of fashion magazines dating back to 1924. The book collection covers a wide range of subjects such as costume and fashion history, regional and national costumes, occupational attire, military uniforms and different types of accessories including jewellery, shoes, hats etcetera. Our fashion books are beautifully illustrated and have great content. The fashion and costume collection is widely used by students from Chelsea College of Art and Design based in Chelsea as well as other library users with a particular interest in fashion. Our magazine archives include Vogue Magazine (1923 till present) Harper’s Bazaar (1950 till present, albeit with a small gap in the sequence) and L’Officiel (1947-2001). We also have a small collection of Manufacturing Clothier (1973-1988) and Vogue USA. 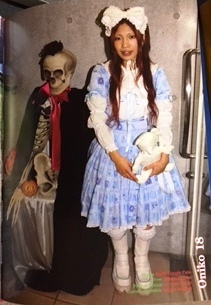 More information can be found on our costume collection web page. 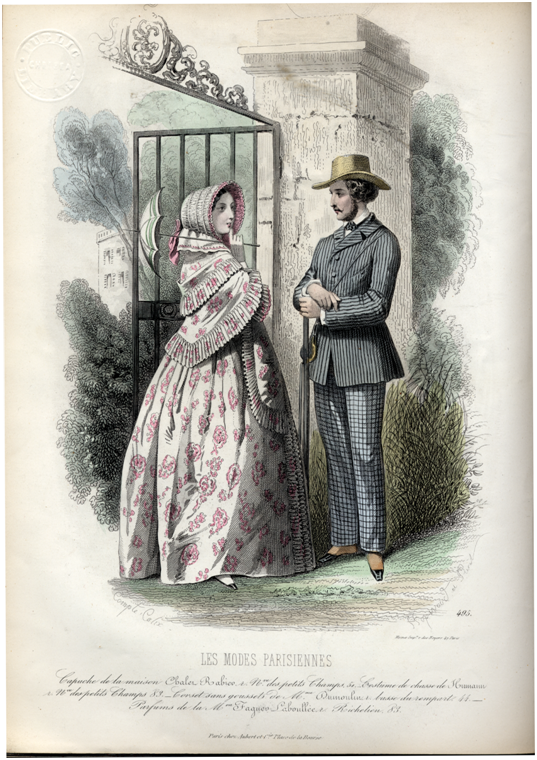 Following on from our previous blogs highlighting the special fashion collection held at Chelsea library, we have gathered a few images and covers with a Christmas theme. See our previous blog posts on Vogue covers, Japanese Winter kimonos and Chinese Lotus slippers. Chelsea Library has copies of Vogue Magazine, going back to the mid 1920s. Vogue not only gives an idea of the fashions at the time, but also reflects society. The Christmas issue of Vogue in 1939 gives a picture of glamour in war-time Britain. Vogue Christmas stocking ideas for the woman who has everything. Christmas gift ideas for ‘a glamour girl’ include brands still familiar today, such as Coty, Yardley, Bronnley and Innoxa. Gifts of beauty, suggestions by Elizabeth Arden. Auxiliary Red, by Cyclax, is the lipstick for Service Women. Elegance and glamour does not have to be limited to outside the house. The coat below is desctibed as bright as a brazier and as warm, Balenciaga’s resounding red broadcloth coat buttoned down the front to a cossetted waist, spreading to a voluminous skirt (superb as a housecoat too). Match it with Cylax’s new make-up, “Auxillary Red”. Debenhams and Freebody are advertising their fur sale. ‘In Paris Now’ women might go shopping wearing Schiaprarelli but they still have to ‘travel in crowded carriages’. From Books to Beat the Black-out: There is a tendency to regard all evacuee tots as problem children. Possibly they would prove less problematic if given some of the books listed here. Titles include Old Possum’s Book of Practical Cats, Chin Pao and the Giant Pandas by Chiang Lee and Joseph Haydn: The Merry Little Peasant by Wheeler and Deucher. Old Possum by T S Eliot is still a favourite, but I’m not sure how the others would be received these days. We hope you enjoyed these images but nothing beats looking at the originals! So pop into Chelsea Library to slip back in time via the Vogue time-portal, each edition is bound in a very chic blue.